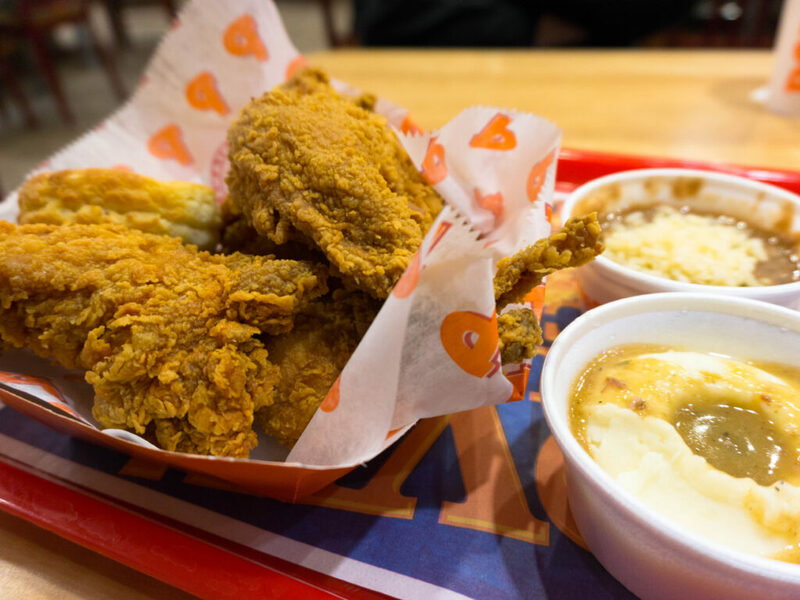 Popeye’s Louisiana Kitchen is one America’s favorite spots to grab delicious fried chicken. As well as fabulous fried chicken, you can find a range of Cajun inspired sides and seafood dishes such as Popcorn Shrimp and Catfish. All prices on this page are dated November 2018, from a Utah location. Please note your own particular state may differ slightly. Prices provided only as a general reference guide, please be sure to review with your own local restaurant. 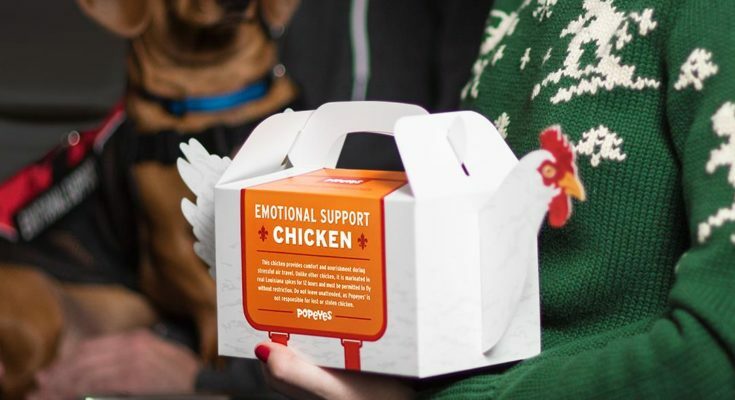 This site has no affiliation with Popeye’s. When ordering a Family Meal you can choosey your chicken prepared mild, spicy or a mix of both. Sides priced individually: regular $1.99 or large $3.99. 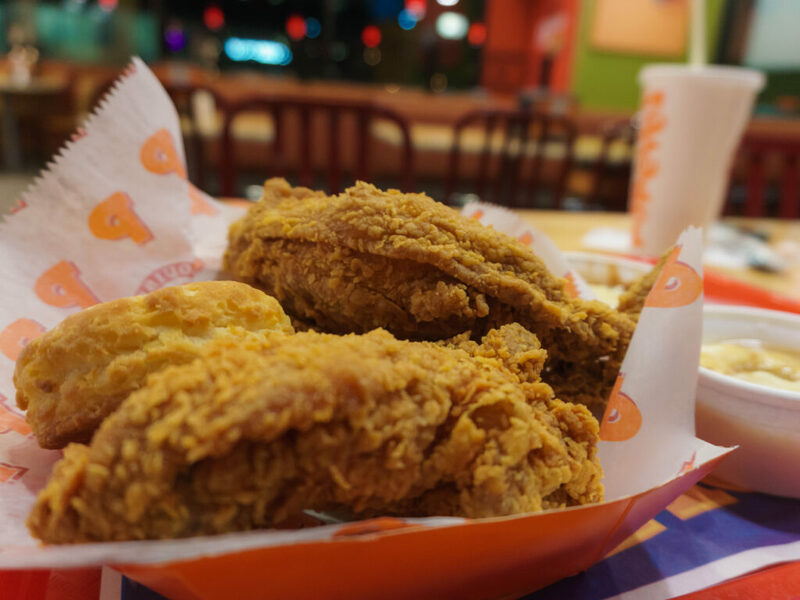 Popeye’s Tenders are available in mild, spicy and blackened versions. What Sauces Does Popeye’s Have? If you order a seafood item from Popeye’s be sure to note they offer both Cocktail and Tartar sauces for dipping! What beverages does Popeye’s offer? What desserts does Popeye’s offer?